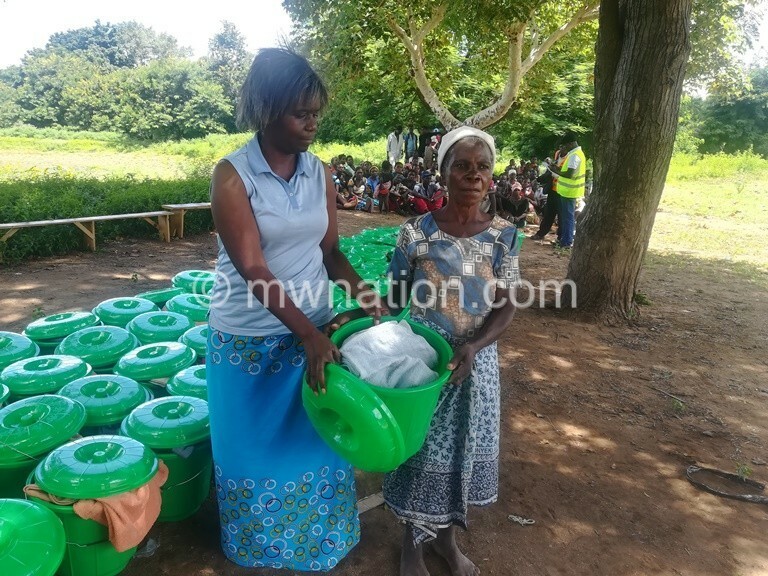 Timotheos Foundationon last week distributed various relief items to floods victims in Chikwawa district valued at K54 million. The items include bucket containing packets of Soya pieces, salt, unit of candles, cooking oil, Matches, cups, plates, cooking pots, a blanket, bathing towel, pieces of soap, 10kg of Maize flour and plastic paper. Speaking during the donation Timotheos Foundation finance director Wim Akster said the items are targeting 1,800 households in the districts of Phalombe, Nsanje and Chikwawa. “We will assist the flood victims with survival packs for every fortnight for the period of two months. As an organisation, we intervene in poverty alleviation in orphan situation, lack of school fees for secondary students for remote areas of Malawi and adult illiteracy,” he said. One of the beneficiaries, Bitimesi Chdisoni, thanked Timotheos Foundation for donation which come at the time it was needed most.